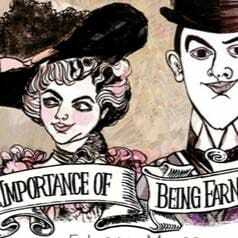 We are excited to announce that in March we will be performing 'The Importance of Being Earnest' at the Coronation Hall in Ulverston. Our director will be Rob O'Hara. Thank you to all the wonderful people who auditioned. You gave the casting committee a very difficult task, and Rob had to make some tough phone calls as director. Thanks, again, to everyone who auditioned. First cast read-through on Sunday, 7:30 pm, at Natterjacks. We'll update this site with all the ticket info once we're into 2017!